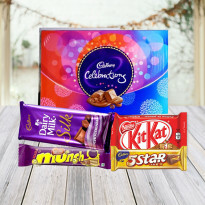 Choose from a never-ending range of cakes, flowers, chocolates and other lovely gifts. Don't let anything stop you from expressing your heartfelt emotions. 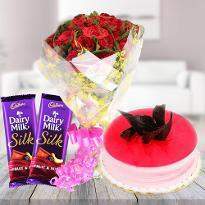 Just order gift online and send gift to Raipur without any inconvenience. 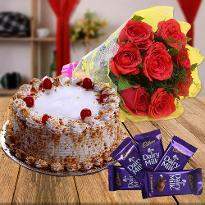 Convey your best wishes and blessings to your loved ones with our online gift delivery in Raipur as well as other cities of India. 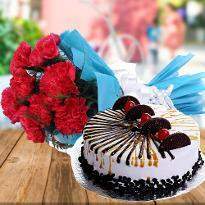 A cake is a delightful treat that can give you a pleasant taste. 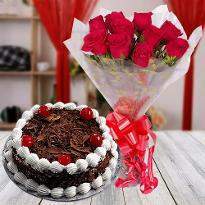 Cake, when perceived by our eyes, give us a gesture of joy and happiness. Flowers are the purest tribute that is surrendered in lords feet in the temple and is used to worship the Lord. 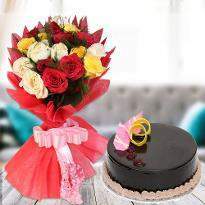 Flowers give us a way to express our feeling. To celebrate occasions, we do need a grand celebration for it. 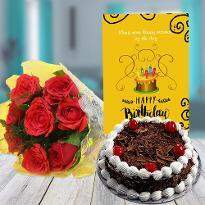 Whether its a fathers day, mothers day, valentines day, Hug day or a birthday celebration, you can make it more interesting by ordering a sweet delicacy from Winni. 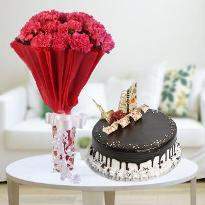 Celebration automatically goes onto a right track if one adds a magnificent presence of flowers and cake in the party. 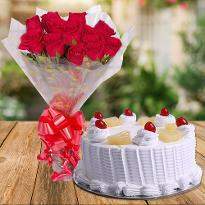 Birthday celebration at home can also be celebrated with a great pomp and show by ordering a beautiful combo of cake and flowers. 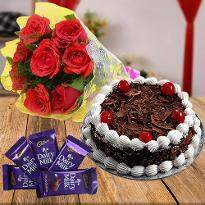 If you are planning to express your emotions to your special one then cake and flowers are the best choice. 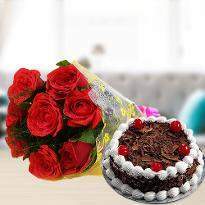 The attractive flowers can hold people for a long interval of time at your place and a delicious cake can make them go crazy. 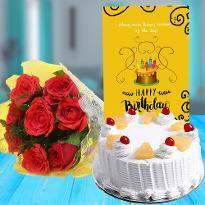 In this fast-moving rapid world no need to hold back your search for flowers and cake at flourish and bakery shop. 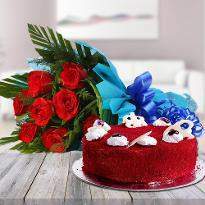 You can now order cakes and flowers online from Winni. 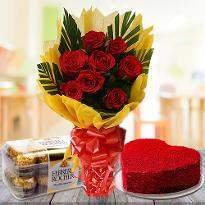 Winni provides a wide collection of cake and flowers so that you can order and send online for express delivery. 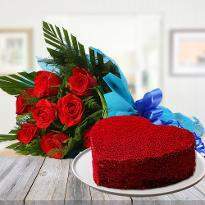 Gifts are the perfect way to delight the heart of your near and dear ones. 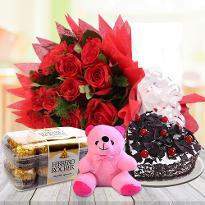 It has become a trend to send gifts to convey warm regards and love to near and dear ones. 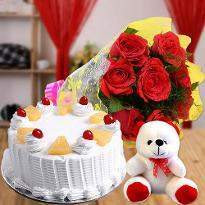 An individual got happy after receiving a wonderful gift from loved ones. 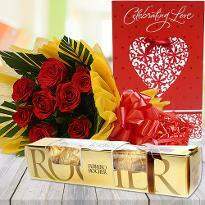 Gifting has become very popular. 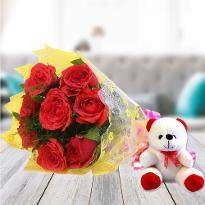 Gifts bring love, happiness and warmth into the relationship. It enables to break the monotony. 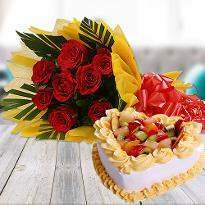 No matter whom you are sending gift, it always has a positive impact on the receiver. 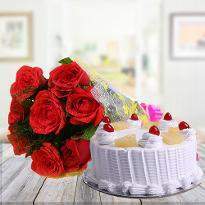 A combo of cake and flowers are enough to astonish loved ones. 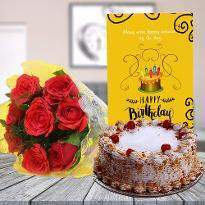 If you are away from your beloved ones, then you can send cake and flowers to Raipur and tell them that distances can't prohibit you from delighting your loved ones. 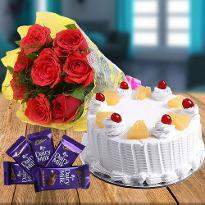 Winni presents a vast range of cake and flowers online which to offer you a choice so that you can buy the perfect one for your near and dear ones. 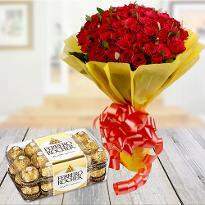 Some of our popular combos are Hello Beauty, Gift from Heart, Lucky you, Endless love and many more. 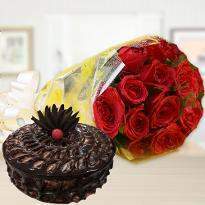 So, don't wait anymore and place your order to delight your near and dear ones now!